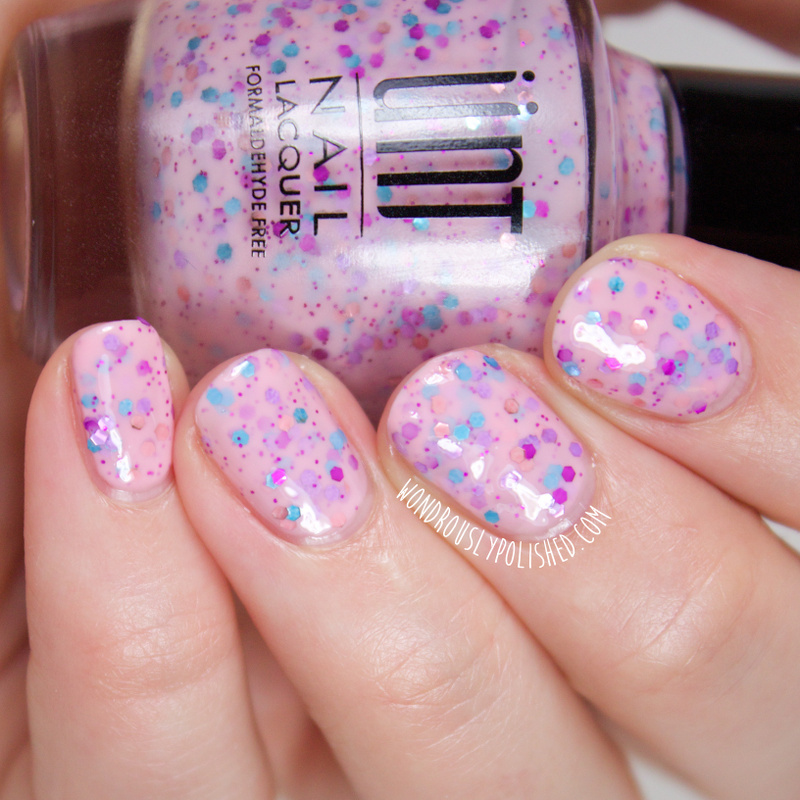 A light pink crelly with magenta hex glitter, Fair Game is my favorite of this set of polishes! It's one of those pink shades that I just love as it's on the pastel side of pinks and I like the simplicity of the single hex glitters. I think this is a great spring/summer shade as it makes you look oh so tan...on second thought, maybe we should wear it in the fall and winter so we look tan! The formula on this was thin, more akin to a creme application than a glitter and was easy to work with. It took me 3 coats to reach opacity and to also get a good distribution of glitter on each nail. 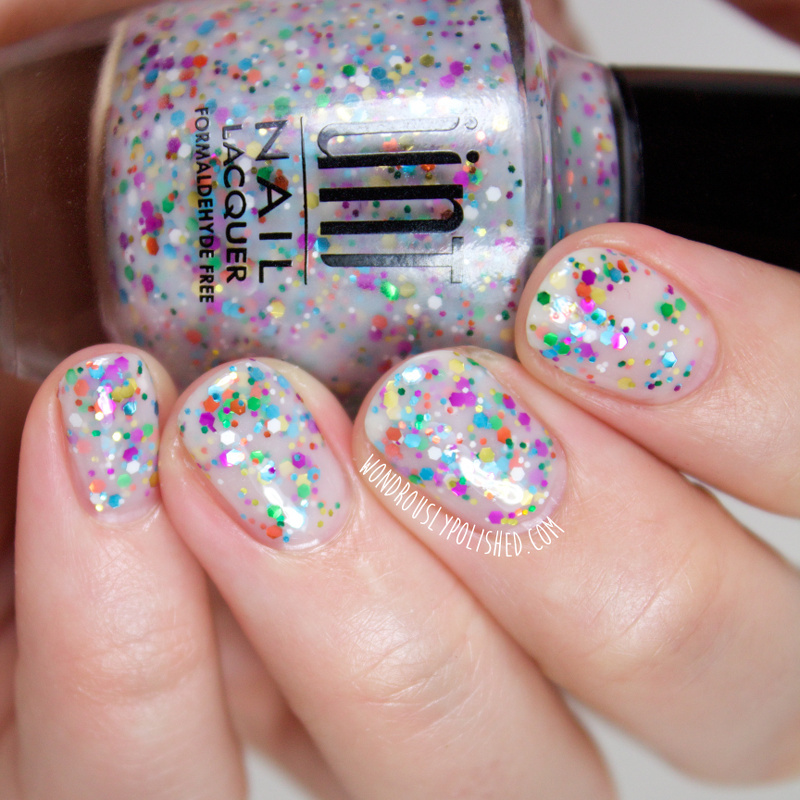 Sugar Rush is a multi colored glitter polish in a sheer white base. This one reminds me a lot of China Glaze's It's A Trap-Eze! 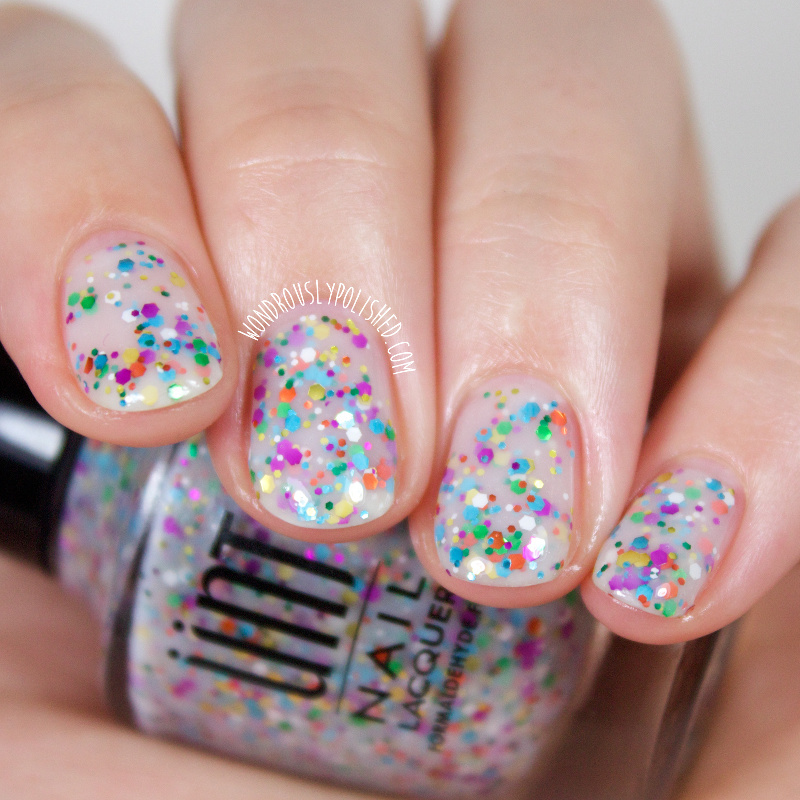 those Sugar Rush isn't as densely filled with glitter and the white base is more sheer. The formula on this was alright, though being a glitter polish, it does require a light hand to get the application to go in your favor. Just be sure to use thin coats and be patient and you shouldn't have any problems. Shown is 3 thin coats, though you can still see a little bit of the free edge of my nail through the sheer base. 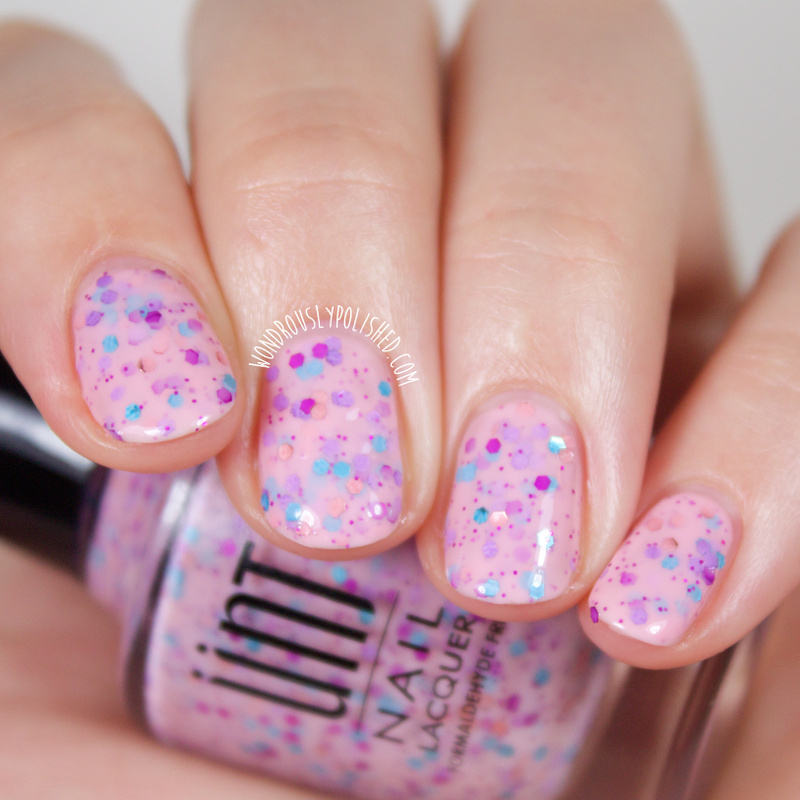 This is a pastel glitter crelly packed full of magenta, blue, pink and lavender hex glitter in a pastel pink base. I like this one a lot, it's super girly without being overwhelming. The formula on this was easier to work with than Sugar Rush, but trickier than Fair Game and shown is 3 thin coats and a top coat. On the whole, I like these. They all have manageable formulas and feature a wide and easy to use brush. One thing I especially liked about these polishes was the actual bottle they are in. They feel really heavy (in the base/glass part of the bottle) and sturdy in your hand and I like that a lot. My favorites are probably Fair Game and Onscreen Chemistry. You can purchase these now from the Live Love Polish shop for $8.00 each and be sure to use the code WONDROUSLY10 for 10% off of your order! Follow Live Love Polish on Instagram to stay up to date with all the latest polishes and promotions! 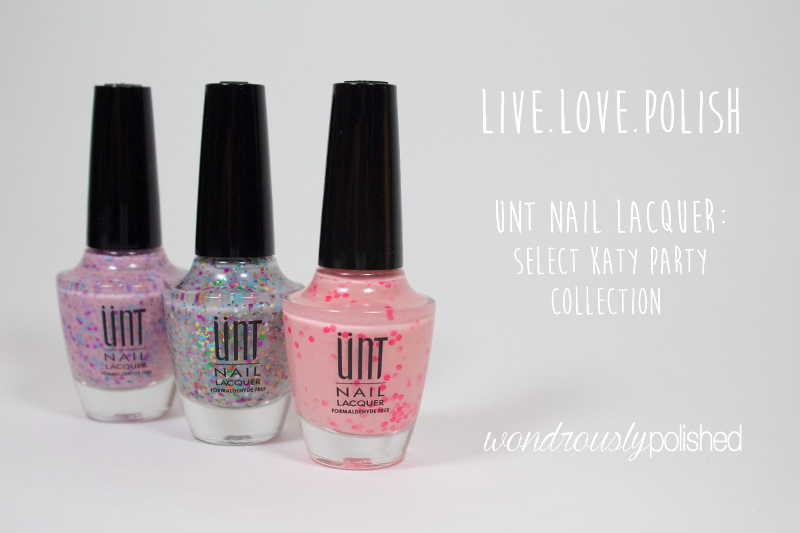 You can also check out all the polishes I've reviewed for LLP by clicking here!